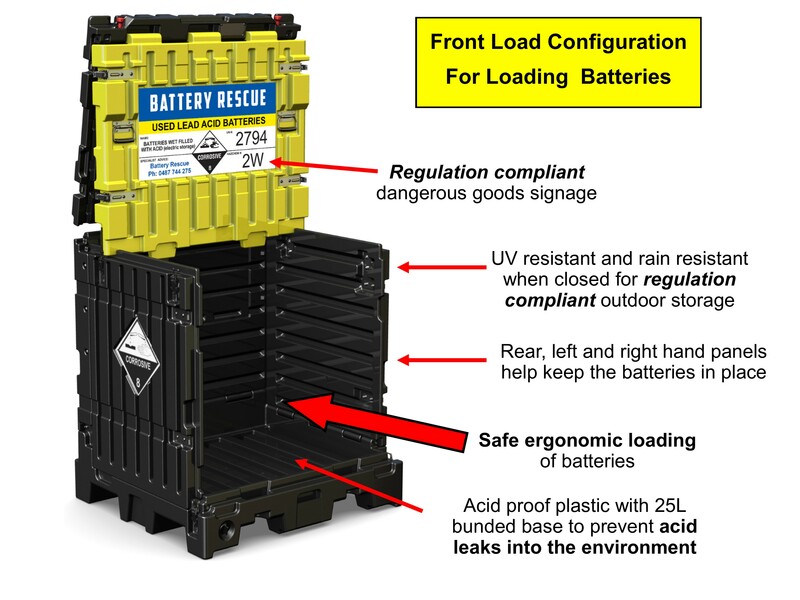 Lead Acid Battery Container - for safe battery storage and transportation. 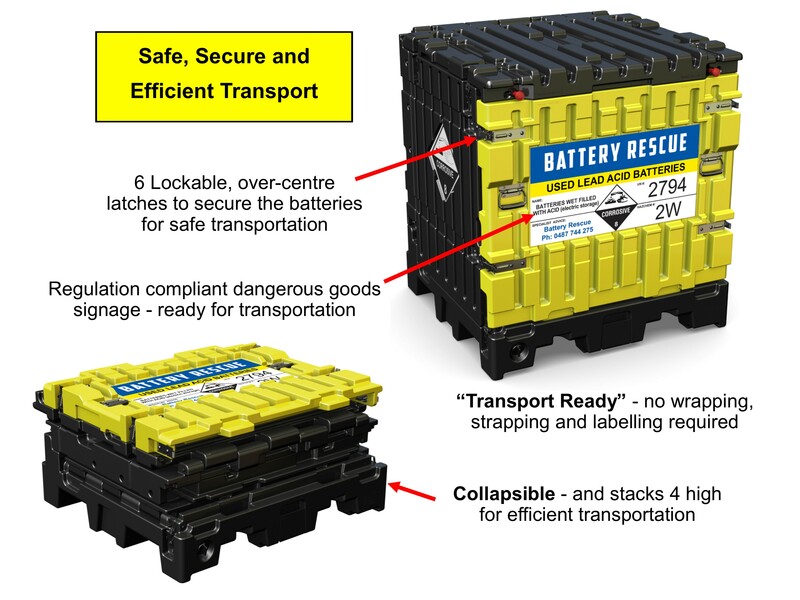 Battery Rescue commissioned Riskom International Pty Ltd to review the UNISEG Pallet’s suitability for the storage and transportation of used lead acid batteries. 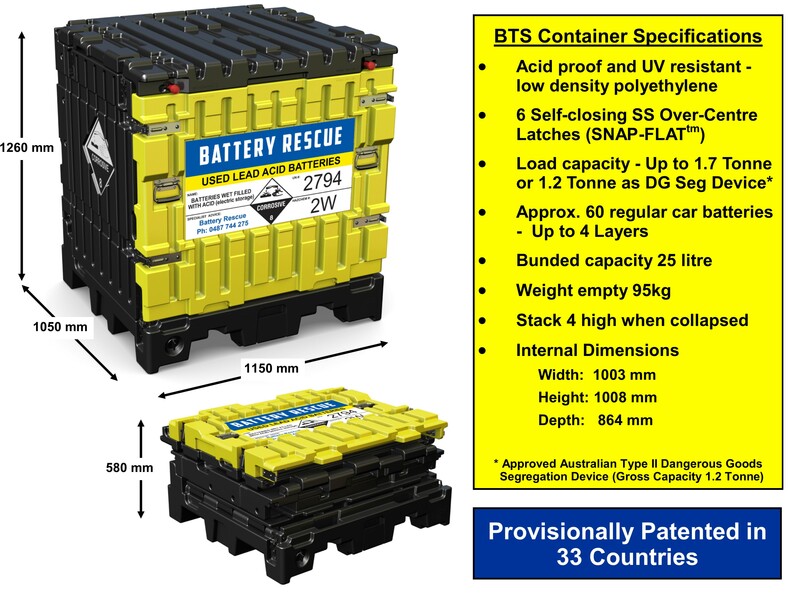 Riskom state that in their opinion the BTS Container, formerly referred to as the UNISEG Pallet, complies with the current requirements of Australian Dangerous Goods Code and the United Nations Model Regulations for Transport of Dangerous Goods 18 Rev, for the transport of used lead acid batteries (UN2794). A copy of Riskom’s report can be downloaded here. Riskom International provides specialised advice and service in the area of safety involving transport and storage of explosives and other dangerous goods. This advice is based on international and Australian standards and codes of practice, developed over 40 years working in government and industry all around the world.